Thrilling Dolby Atmos Cinema at an Unbeatable Price, the TX-SR444 is powerful and versatile. It can pass 4K video to your display via HDMI® thanks to HDCP 2.2 compliance. Connection and setup is easy with the rear panel graphical hook-up instructions. AccuEQ room calibration adjusts the audio to suit your listening space and speaker system.And there’s also a useful Quick Setup button on the remote to adjust settings without pausing the program.With high-current Wide Range Amplification Technology under the hood, the TX-SR444 receiver delivers sound with power and clarity. 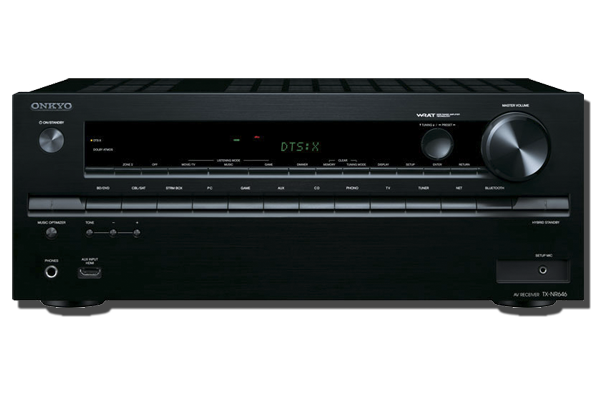 With almost 70 years of audio engineering experience behind it, this Onkyo receiver provides the best possible audio performance with the latest features and highest build quality available for a very modest investment. 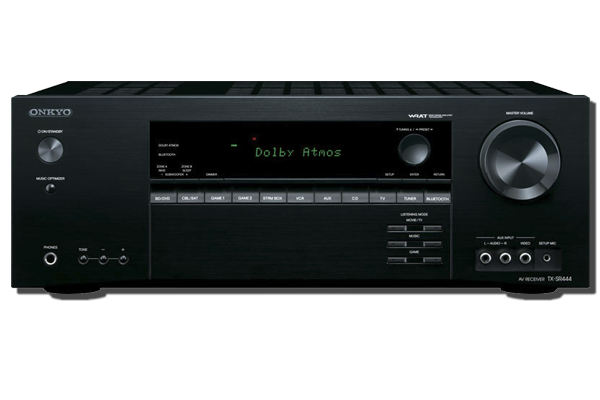 The 7.2-channel TX-NR545 Network A/V Receiver is the best-equipped receiver in its class, delivering powerful audio. Built-in AirPlay,Wi-Fi®, Bluetooth streaming, Spotify Connect, Pandora, and more let you enjoy streaming media. Ready for UltraHD video and premium 4K content, the TX-NR545 features HDMI® 2.0a and HDCP 2.2 compatibility. A premium 384 kHz/32-bit hi-grade AKM DAC unlocks the full potential of all your audio, including multidimensional Dolby Atmos®, DTS-HD Master AudioTM, and Hi-Res audio formats. It’s also very easy to use—there’s easy music streaming and system control using the free remote control app and a Quick Setup function that lets you adjust settings without interrupting playback. With 115 W/Ch, the TX-NR545 powerfully drives your movies, games, and music with superior clarity and energy. 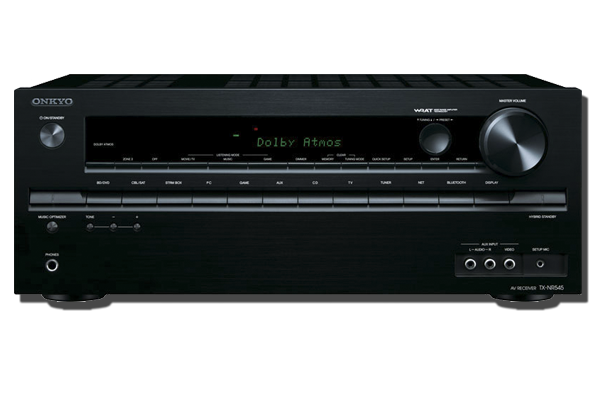 Experience the cutting edge of home theater with the 7.2-channel TX-NR646 Network A/V Receiver, the first in its class to feature the revolutionary DTS:XTM and Dolby Atmos® multi-dimensional audio formats. Onkyo’s high-current amplification system drives your speakers to reproduce soundtracks with maximum impact and fidelity at 170 W/Ch. UltraHD video capability is equally impressive, with eight HDMI® 2.0a terminals including dedicated HDCP 2.2 compatible inputs for premium 4K video content and two HDMI outputs for video in separate rooms. The TX-NR646’s high-grade 384 kHz/32-bit AKM DAC not only brings movies to life, but your Hi-Res and streamed music as well. Conveniently stream music over built-in Wi-Fi®, Bluetooth,AirPlay, or internet music services including Spotify Connect and Pandora. Use the free Onkyo Remote app to stream audio stored on your mobile device, browse and select tracks from online services, and control playback in two zones. Plus, for fans of vinyl, the TX-NR646 has a phono equalizer input to connect a turntable. From thick aluminum faceplate to gold-plated speaker posts, the TX-RZ900 is crafted for one purpose: pure enjoyment of sound, be it vinyl records or the latest object-based movie soundtracks. Every component is customized to reference standards, from a hand-wound toroidal transformer to massive audio-grade capacitors, to capture the whole audio image with breathtaking clarity and timing.The sound is lush, dynamic, and musical, with discrete high-current amplifiers reaching all the way down to 5 Hz.When the soundtrack explodes, you feel the rumble. Using low-noise Vector Linear Shaping CircuitryTM (VLSC), this unique high-current amp technology produces sound that is immensely powerful yet free of distortion. A full complement of wireless audio services is included along with the latest spec HDMI® terminals for 60 fps Ultra HD video and 4:4:4 color space. Experience home entertainment at its finest: the TX-RZ900 is one for the ages. 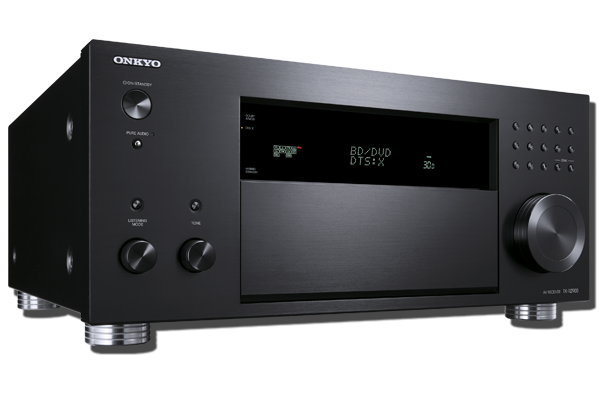 For more information and news, please visit the Onkyo website.